©2005 E. Hallowell and J. Ratey (P)2005 Books on Tape, Inc.
A great book! worth reading if you or a loved one has ADD. it should not be in the kids section, though. 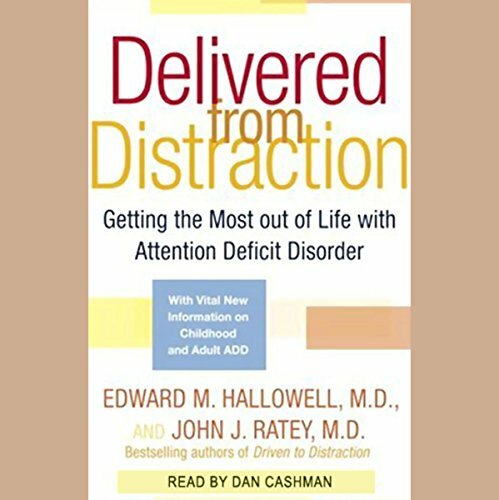 Hallowell gives fun and useful strategies for dealing with child and adult Attention Deficit Disorder. 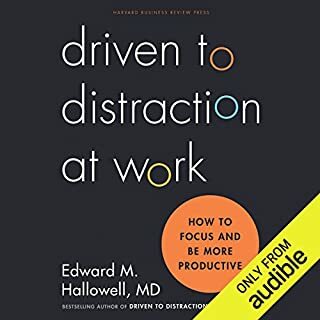 I read his first book, Driven to Distraction, in the 90's and am quite impressed with the new strategies and 'improved' or updated philosophies and methods of dealing with ADD. 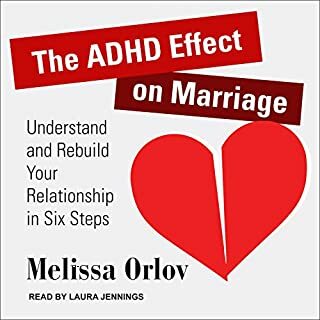 An audiobook is a much easier way for ADD'ers to get through a book like this! Listening in LA traffic has been great. The book is full of examples of actual patients as well as some in depth stories of successful adults with ADD. 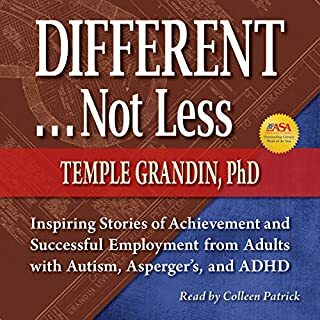 This is a very EMPOWERING AUDIOBOOK FOR THOSE WITH ADD AND THEIR PARENTS OR FAMILIES. I have ADD and my wife didn't want to listen at first, but I got her take the questionaire with me. Upon finishing the test, she had new understanding and compassion for my ADD. It includes some self-diagnostic questionaires and Hallowell makes good use of humor. This is the best book I've read (heard) on ADD. It's more thorough than any book I've seen and I've learned a lot about what causes many/all of my problems. I know what to watch for in my behavior/situation and what to do about it! It paints a very accurate picture of ADD - it's more accurate and complete and up to date than any book I've seen before. It also has some exercises to increase my attention-which are easy to do & they do in fact increase my attention - like the cerebellum exercise of practicing balance on a wobbly board. I never heard of stuff like this before and it's easy and works! 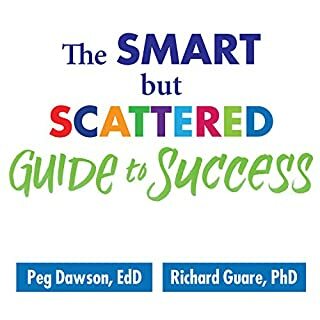 I highly recommend this book - there's a lot of great information. I also really like the audio format because it's much easier to complete and relisten to. Over the past year both myself and my 8 year old son have been diagnosed with ADHD, both of us predominantly inattentive type (no hyperactivity). Dr Hallowell's book has opened my mind and my eyes to so much. It is because of this book that I even sought diagnosis for myself. 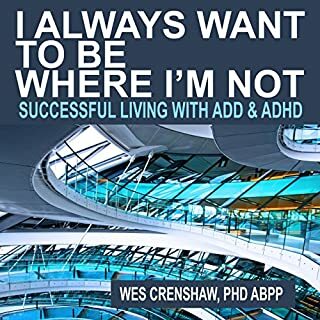 I originally purchased the hard copy of this book when my son's teacher indicated she thought he might be ADHD, and as I read part of this book I thought to myself, my goodness, THIS IS ME!!! This is who I have been my entire life...unorganized, absent minded, forgetful, easily distracted, unable to concentrate to follow a conversation without going over what I was going to say next in my own head...and on and on. 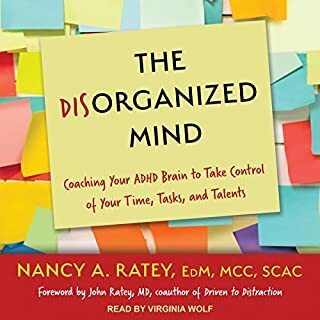 Needless to say, as an ADHD'er there was no way I was reading this whole book front to cover, as I rarely finish anything, especially a book, that I start. And then I found Audible. I downloaded the book to my phone and on my 90 minute commute each way to work each day, I listened. And I still listen. 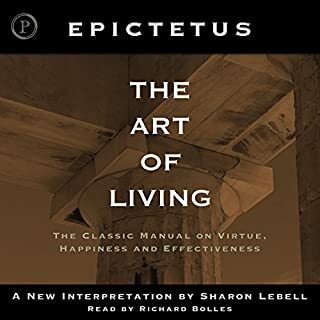 I have been through the whole audible book at least 4 times and every time I listen I learn something new that I drifted off on the last time I listened! The person narrating has a great voice to listen to and I wish he would have narrated Dr Hallowell's other book. 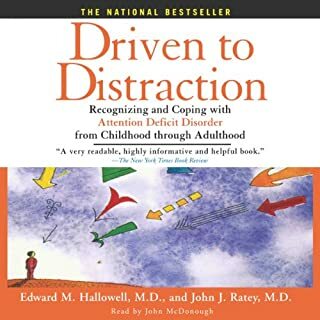 I am eagerly anticipating Dr. Hallowell's new book Married to Distraction! 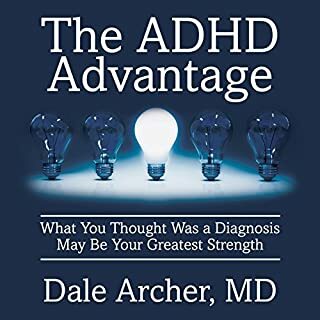 All I can say is thank you...this read/listen is simply awesome for anyone who is or loves someone who has been diagnosed with or you think may have ADHD. As an audiobook this is guaranteed to waste your time. Why? About 2/3 is for parents of children with ADD and 1/3 is for adults with ADD. 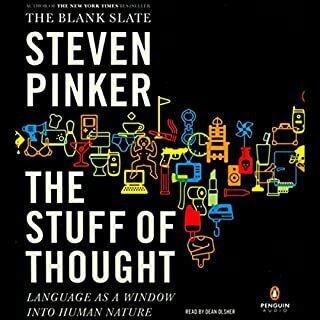 Since the book isn't divided that way, anyone who listens to this book will spend a lot of time listening to material they really don't care about. 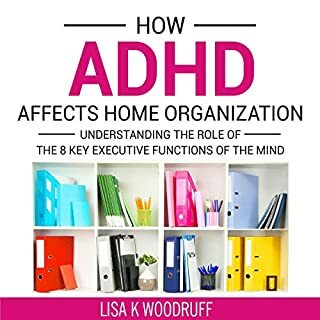 So ADHD adults who buy this book looking for practical advice on how to help their careers and household organization will spend hours listening to stories about experimental schools for dyslexic children. Individual chapters also suffer from a tendency to repeat the same point long after it's been made. Since the sections of the file are much larger than individual chapters, there's no way to skip from one topic to another. The only solution is to buy the book and skip the large amount of material you don't need. 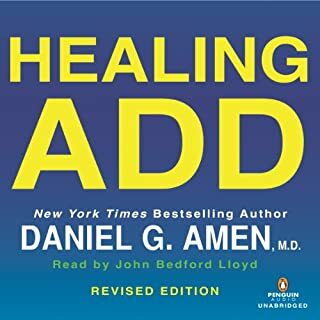 I purchased this audio to learn more about ADD, since my Grand Daughter was diagnosed as having ADD. In fact I really had no idea what ADD or ADHD was all about. 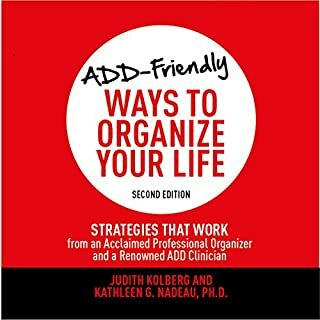 Not only did this book help me with understanding her problems, it help me to see that I too have ADD and have had it all my life. I cannot express in words how this book has helped change my life and that of my family. It is truly worth its weight in gold. 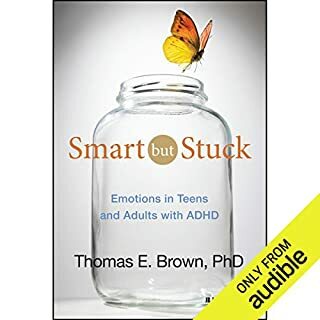 As an adult with ADD with three children who have inherited this trait, I found this to be the best book I have ever read on the subject. The author provides numerous resources and has a positive and unique way of viewing ADD. 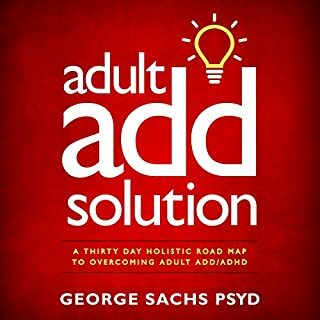 Practically all of the other books I have read on ADD spend 95% of the book defining the "problem" and 5% on so called solutions like "add structure to your life." This book gives practical advice which would benefit even those without ADD. Thank you for writing this excellent book Dr. Hallowell and Dr. Ratey. I bought this book because I am interested in psychiatry. But as Iistened I kept thinking "I understand exactly what you are saying". I was quite hyper as a child but seemed to gain control as a teenager. But as I listened I could see myself in his descriptions. A great book written by authors that have ADD themselves, so they can explain it very well. I also enjoyed the fact that most of the chapters can be listened to independently. Highly recommended. I loved this book. I started reading it, in an effort to help my son. I learned so much about how he was feeling, and how I can help him feel better about himself. 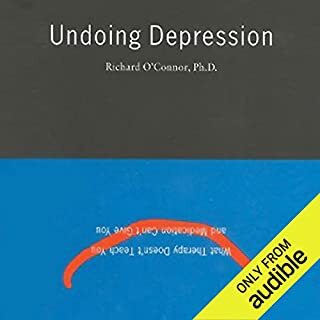 After reading, I could better understand him, and was able to get my son to open up more with me about what goes on in his head while in school etc. I would highly recommend this book for anyone who would like to understand ADD and other like, diagnosis. Delivered from distraction was alright, I got more out of his previous book. This one is more of a compilation of patient stories than anything else. 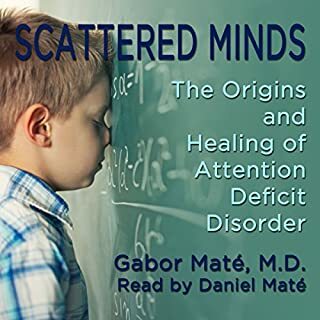 I related to a lot of the stories and it was a decent listening, but I was looking more for further enlightenment of ADHD and the development of tools to help me deal with ADHD. 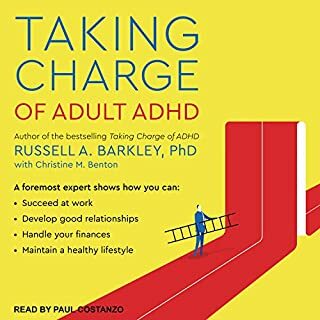 If you buy one book or audio on ADHD, this is it! Have you listened to any of Dan Cashman’s other performances before? How does this one compare? He has a great voice for this book. I always prefer the author to record the audio, but Dan does a great job. Thought it matched up well with Dr. Hallowell's style. I have the book, but its hard to get through it all. So getting the audio was great way to finish the book and reinforce by listening to it again.